Whole Foods Market, the world’s largest retailer of Organic and natural foods, has released its inaugural Green Mission Report, which details the the company’s efforts towards environmental stewardship across a variety of categories. The rapidly growing chain is known for its progressive social and environmental policies and has made major innovations in product sourcing and standards which have been unparalleled in the retail food industry. Whole Foods Market is the first national retailer to discontinue the sale of red-rated seafood (ratings assigned by Monterey Bay Aquarium’s or Blue Ocean Institute). In 2010, the company announced a goal to reduce energy usage by 25 percent per square foot by 2015. In 2011 electricity use had already been reduced by six percent. Nearly 40 Whole Foods Market stores are Leadership in Energy & Environmental Design (LEED) or Green Globes certified, registered or in development. In 2011, the company introduced Eco-Scale, a rating system for cleaning products that provides customers with information to make informed choices about ingredients used in those products. Whole Foods Market has invested more than $6 million in wind renewable energy certificates. Also noted in the report is Be Green Packaging, who supplies Whole Foods with recyclable, compostable, and biodegradable food trays for the Prepared Foods, Meat, Seafood, and Produce Departments. 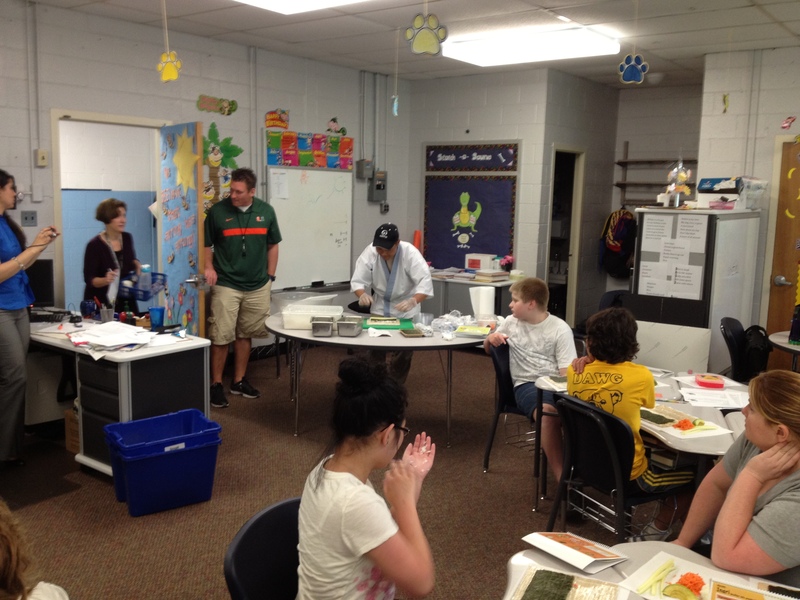 The company was able to substantially reduce waste headed for the landfill with the introduction of Be Green’s trays in many regions across the country. Children at the Y.A.L.E. 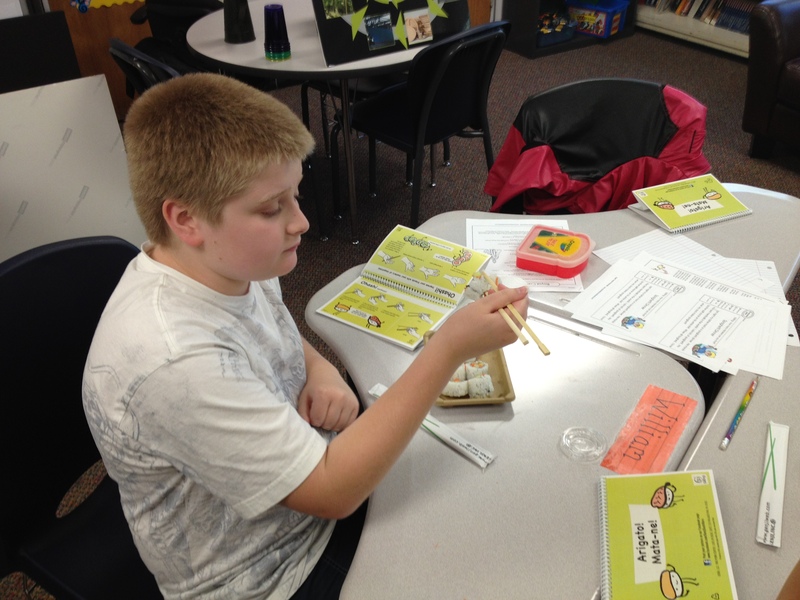 School in Cherry Hill New Jersey were treated to a hands on day of sushi making along with lessons from a master sushi chef last month as part of Genji Sushi’s ‘Composting is Cool’ series. 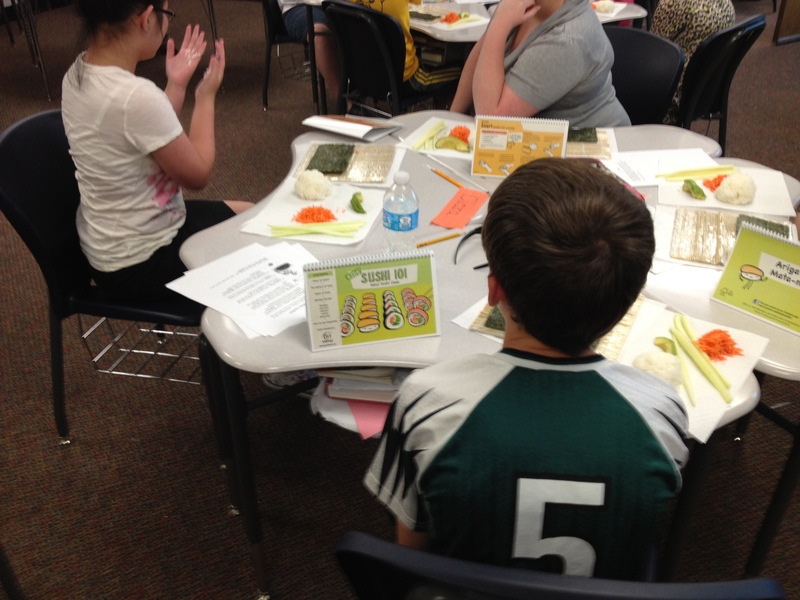 Genji and Be Green Packaging collaborated on the event which featured composting education and a presentation on the problems associated with overfishing. The entire event was a resounding success and helped to establish foundational environmental awareness with all of the children present that day. 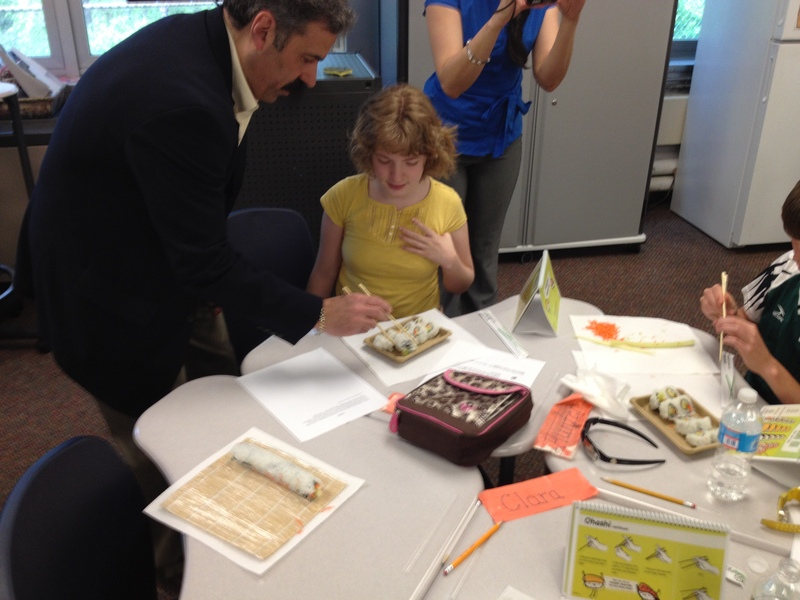 Be Green supported the event with a donation of its award-winning sushi trays, which were developed in tandem with Genji, and was represented by Bob Rodriguez, who manages sales and accounts for the company in the region. 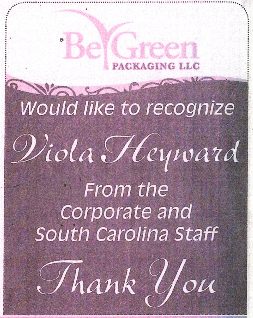 Be Green would like to recognize Viola Heyward for all of her wonderful contributions to the team both in South Carolina and at the Santa Barbara corporate office. Viola is a hard-working, can-do team player who wears her heart on her sleeve. The entire Be Green team thanks you, Viola, for your constantly upbeat, motivational, and kind attitude. It truly is a pleasure for us all to work with you. 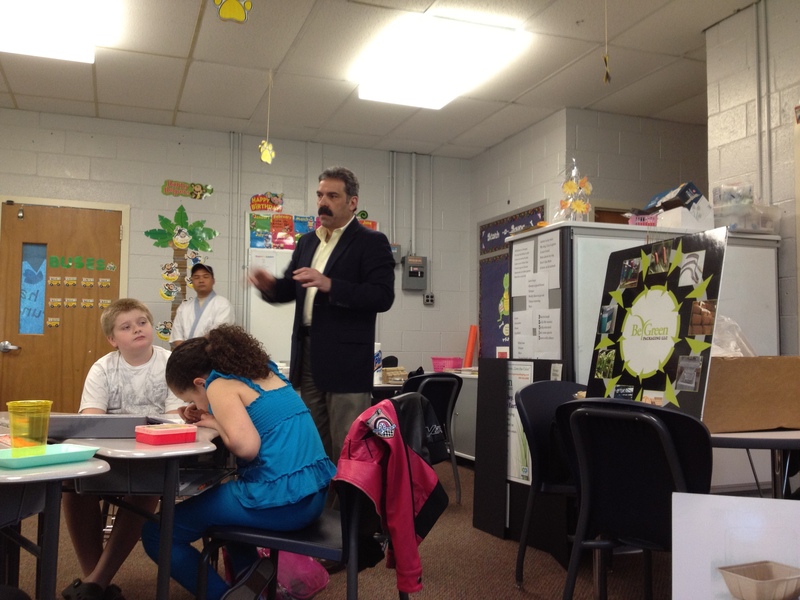 BOSTON – On Wednesday, April 25th Justmeans officially announced the winners of the 2012 Social Innovation Awards naming Be Green Packaging, LLC as the recipient of the Best Product Design award. 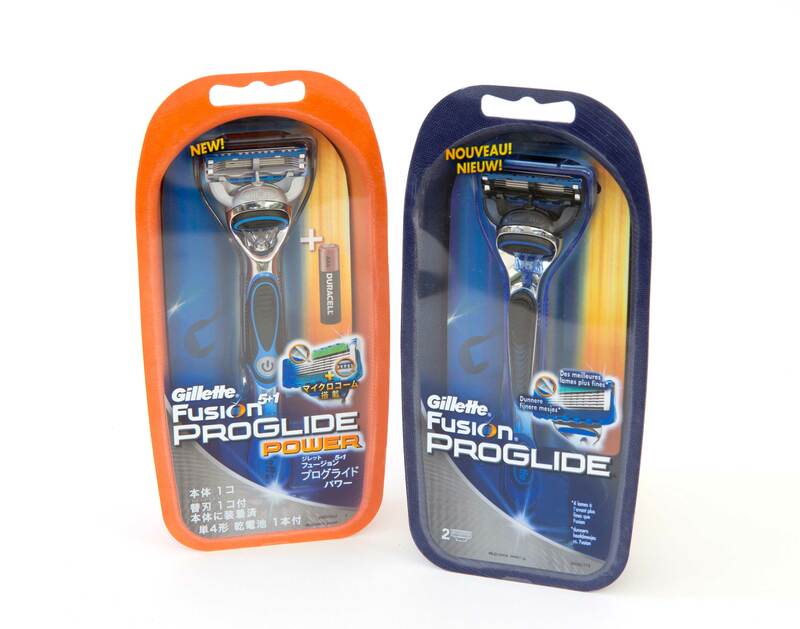 Be Green received the award for its work with Gillette on the design and development of the new Fusion ProGlide Razor packaging. The Fusion ProGlide trays, which are composed of a proprietary blend of plant fibers, reduced cost and material weight while maintaining Gillette’s distinctive product packaging. The Justmeans Social Innovation Awards competition brought together over 130 organizations from 17 countries in pursuit of nine awards across a variety of categories related to corporate social responsibility and sustainability. The judges’ panel at this year’s event included top CEOs, sustainability professionals, journalists, editors and visionaries with established expertise in the burgeoning field of corporate social responsibility and its many incarnations. Entries in the Best Product Design category were evaluated based on criteria related to innovation in product design and efficiency, and how that translated to maintaining sustainability throughout the product’s lifecycle. The Justmeans award is the second major design award that the Fusion ProGlide tray has won; the other being the DuPont Diamond Award for Packaging Innovation received in July 2011. Be Green’s proprietary technology allows it to create a wide range of consumer, industrial, and food grade packaging from a blend of non-food plant fibers. These fibers are formed into an array of shapes and sizes using advanced moulding processes that can be adapted to meet nearly any specification. Be Green maintains a long list of eco-social certifications from independent, third party organizations such as the Cradle to Cradlecm Products Innovation Institute, the Biodegradable Products Institute, Western Michigan University’s Recycling Pilot Program, the Non-GMO Project, and the USDA BioPreferred Program, among others. Three billion times a day, P&G brands touch the lives of people around the world. The company has one of the strongest portfolios of trusted, quality leadership brands, including Pampers®, Tide®, Ariel®, Always®, Whisper®, Pantene®, Mach3®, Bounty®, Dawn®, Pringles®, Charmin®, Downy®, Lenor®, Iams®, Crest®, Oral-B®, Actonel®, Duracell®, Olay®, Head & Shoulders®, Wella®, Gillette®, and Braun®. The P&G community consists of over 135,000 employees working in over 80 countries worldwide. Please visit http://www.pg.com for the latest news and in-depth information about P&G and its brands.